As a child, Lucie was abducted and tortured, chained to a chair inside an abandoned building in a rundown industrial area. It's unknown how long she was in that building before she was finally able to escape, suffering from malnutrition, dehydration, and hypothermia. Lucie was taken to a children's hospital, where she made a friend of similar age named Anna, who cared for her and doted on her, the girls quickly becoming inseparable. Lucie's captors were never caught and she never gave details about them, never able to talk about her ordeal. Fifteen years later, a pleasant, ordinary family's average Sunday morning is interrupted when an adult Lucie shows up at their door with a shotgun and opens fire on everyone she comes across - husband, wife, teenage son and daughter, all shot down. Lucie then gives Anna a call. Lucie had seen this family's picture in the newspaper, accompanying an article about the daughter's swimming accomplishments, and became convinced that the parents were the same people who tortured her years earlier. As far as Anna knew, Lucie was just going to observe them to see whether or not she was right, then they would call the police. She took the situation farther than Anna ever imagined, and now she needs her friend's help. Anna is very conflicted as she sets out to clean up the crime scene. What if Lucie killed the wrong people? What if her friend is insane? She knows that Lucie has hallucinations, often imagining that she's being attacked by a feral woman covered with scars, a woman who she believes is slicing her up with a razor when in fact Lucie is cutting herself. The girls end up spending a long time at the house, Anna expending a lot of effort cleaning things up and disposing of the bodies in a pre-dug hole in the yard, all of which seems pointless to me. She's putting the bodies in an obvious place and there's no way she can remove all trace of her and Lucie's presence in the house, especially since Lucie keeps cutting herself. The bulk of the movie is set in 1986, but even though CSI might not have been at the level then that it is today, I still don't see how anything Anna does is going to help them get away with this. When the sun rises on Monday morning and the third act arrives, the SHOCKtober schedule comes full circle. The month began with Sunshine, and like that film, this movie deals with characters who are obsessed with the afterlife. Lucie was one of many people who have been captured over the years by a cult that is searching to find answers to the question of what lies beyond death. They believe that if they push a victim to the limit through torture and neglect, keep them in a perpetual state of suffering, once they're at the edge of death they might be able to glimpse the other side and tell them what's there. Anna spends so much time in the murder house that she's still there when the rest of the cult comes by to check on their fellow members, and she becomes their latest victim. Like Sunshine's third act, the end of Martyrs is a divisive one. 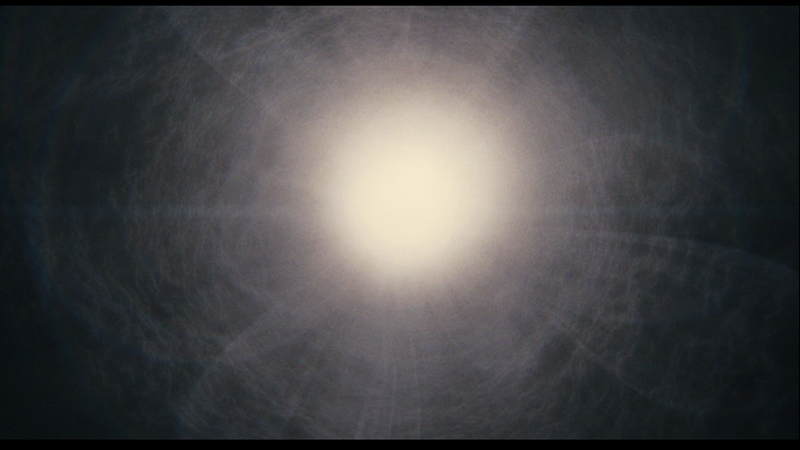 Viewers tend to be either blown away or turned away by what happens after the cult element comes into the picture. The final 30 minutes of the film is all about Anna being tortured in horrible, disturbing, disgusting ways. Anna becomes witness to the beyond and gives the head of the cult an answer that isn't shared with the audience, but it's enough to bring the head of the cult to some sort of resolution. Was it all worth it? That's not quite clear. And whether or not the brutality of the movie is worth sitting through depends on the individual viewer. 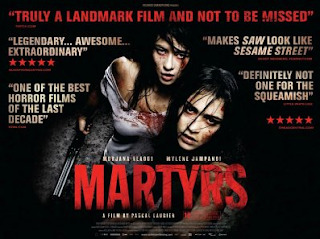 I do think Martyrs is a good, well made movie, some questionable logic aside, and that it deserves a lot of the praise it gets, but it's definitely not an easy movie to watch, not exactly enjoyable, and those last 30 minutes are not something that I ever really need to see again. I've watched the movie a few times now, I give it kudos, but now I think I'm done with it.